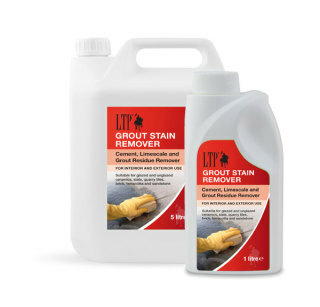 Cement, Limescale & Grout Residue Remover For Interior & Exterior use For glazed and un-glazed ceramics, slate, quarry tiles, brick, terracotta & acid resistant natural stones. A rapid action cleaning agent for removing cement residues, grout stain, efflorescence and other similar deposits from glazed and unglazed ceramics, slate, quarry tiles, brick, terracotta, and stone. May be used in dilute or concentrated form. (Do not use on Limestone, marble or other acid sensitive surfaces).